In the 18th century, children in Pennsylvania would inevitably find a two-for-one gift in their Christmas stockings. Each piece of clear toy candy, a sweet pioneered by German immigrants, lives up to its name. As the treats were shaped like trains, ships, or animals, children could play with them before eating. Once also called barley candy because some recipes were said to include sweet barley sugar, the candies appeared in the region as early as 1772. 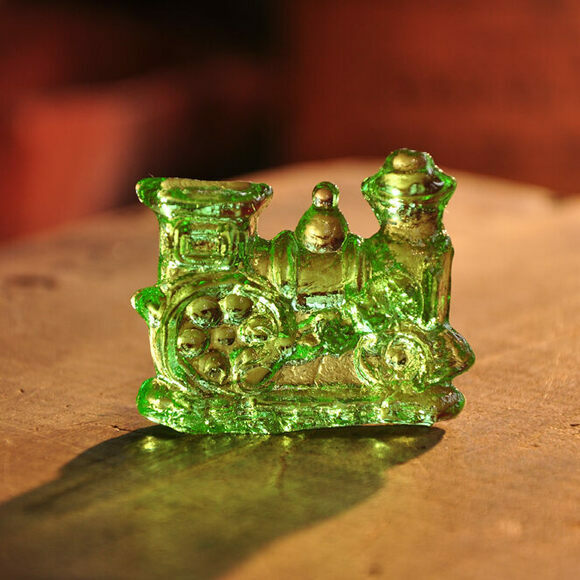 Made of colorful, boiled sugar syrup, clear toy candy is carefully made in cold kitchens to preserve its glassy look. Often, the sweets come in Christmas red or green, or the natural yellow of the lightly-caramelized syrup. These sweets are decidedly vintage, both in shape and in taste (traditional clear-toy candy is unflavored). Collectors gather the molds from long-gone candy companies, and only a few confectioners still make the treats. Nevertheless, they’re still a must for many families celebrating Christmas in Pennsylvania. Shane Confectionery ships pieces of toy candy that you can order online. Candy has been made in this establishment since 1863. At this market, open only on Fridays (7:00am to 6:00pm), clear toy candy is often available during the Christmas season. This candy shop offers many types of clear toys, including some big pieces, during the Christmas season.